WILMINGTON, Del. (CN) – Monsanto, Philip Morris and other U.S. tobacco giants knowingly poisoned Argentinean tobacco farmers with pesticides, causing “devastating birth defects” in their children, dozens of workers claim in court. The farmers, on their own behalf and for their injured children, sued Altria Group fka Philip Morris Cos., Philip Morris USA, Carolina Leaf Tobacco, Universal Corporation fka Universal Leaf Tobacco Company, Monsanto, and their affiliates and Argentine subsidiaries, in New Castle County Court. The farmers grow tobacco on small family-owned farms in Misiones Province and sell it to U.S. tobacco distributors. 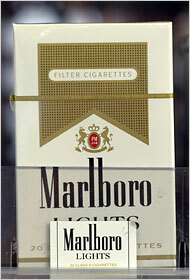 Most of Argentina’s tobacco is grown in Misiones, a rural northeastern province. 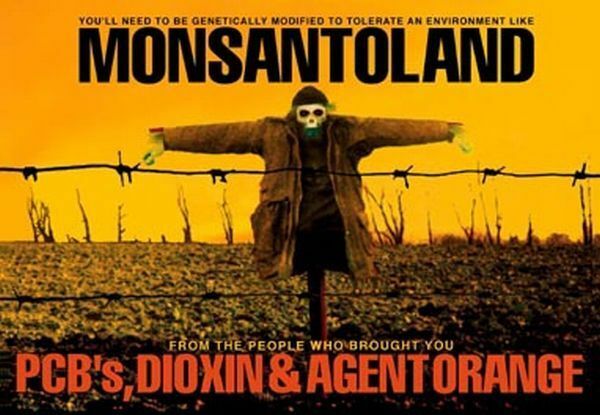 The farmers claim the tobacco companies asked them to use herbicides, pesticides and other toxic products made and distributed by Monsanto, and assured them the products were safe. Birth defects cited in the 55-page complaint include cerebral palsy, psychomotor retardation, epilepsy, spina bifida, intellectual disabilities, metabolic disorders, congenital heart defects, Down syndrome, missing fingers and blindness. The farmers claim Philip Morris and Carolina Leaf used a tobacco brokerage company, Tabacos Norte, to buy tobacco from the farmers and sell them crop production supplies, including herbicides and pesticides. Tabacos Norte, based in Misiones, was created by Carolina Leaf and Philip Morris’ Argentine subsidiary in 1984, to produce tobacco fit for the North and South American markets, according to the complaint. The farmers say the tobacco companies that bought their crops asked them to replace the native tobacco with a new type, used in Philip Morris cigarettes, which required more pesticides. They say the defendants pushed for excessive use of pesticides and failed to warn them of the dangers or provide them with information or protective gear. Most farmers in Misiones used Roundup, a glyphosate-based herbicide made by Monsanto, to kill weeds and clear tobacco fields, according to the complaint. Bangkok, Thailand, August 13, 2011 – While it is well established that Thailand’s “red shirt” street mob is working on behalf of globalist-stooge Thaksin Shinawatra who in turn is backed by some of the United States’ largest lobbying firms, most influential politicians, and most powerful corporate-financier interests, it is now confirmed that key leaders within the “red shirt” movement or United Front for Democracy Against Dictatorship (UDD) have met with Soros’ Open Society-funded Human Rights Watch, the National Democratic Institute for International Affairs (NDI), National Endowment for Democracy (NED), and the U.S. – ASEAN Business Council in an April 2011 Washington D.C. visit. Thaksin Shinawatra, Thailand’s prime minister from 2001 until a military coup removed him in 2006, was a former Carlyle Group adviser and was literally reporting to the globalist Council on Foreign Relations in New York City on the eve of his ousting from power. While in office, Thaksin attempted to ramrod through the US-Thailand Free-Trade Agreement (FTA) without parliamentary approval, a 2004 FTA backed by the exact same US-ASEAN Business Council recently visited by UDD leaders in April of 2011.